Tactical backpacks are most commonly used by our armed forces to carry their tactical gear needed for different military tasks. These tactical bags are highly regarded for their extreme durability and reliability. 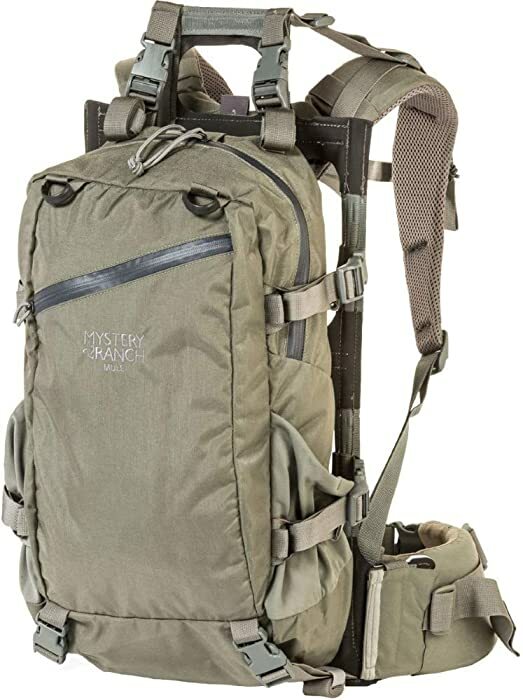 They are generally larger than normal backpacks and have special compartments including compatibility with hydration systems.In the military these tactical backpacks are used on expeditions, marches and patrols and practically every job where the soldiers need to carry a few tools with them. The military also calls these military backpack or assault backpack. Civilians use them in different activities like camping, hiking, backpacking, fishing and outdoor excursions in general. 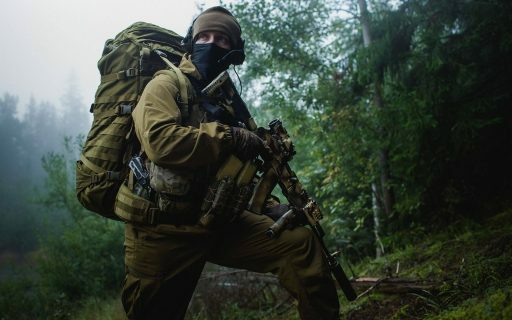 I know that your priority is to get yourself a tactical backpack and go straight into the outdoors so I have created the ultimate guide that includes everything you would need to know to help you find the best tactical backpack. Tactical bags have special qualities which differentiate them from other “normal” backpacks. They were made with the idea that they will be used by the military and police personnel on tactical missions and excursions. Hence, they are compact in size which in turn gives the wearer greater mobility. 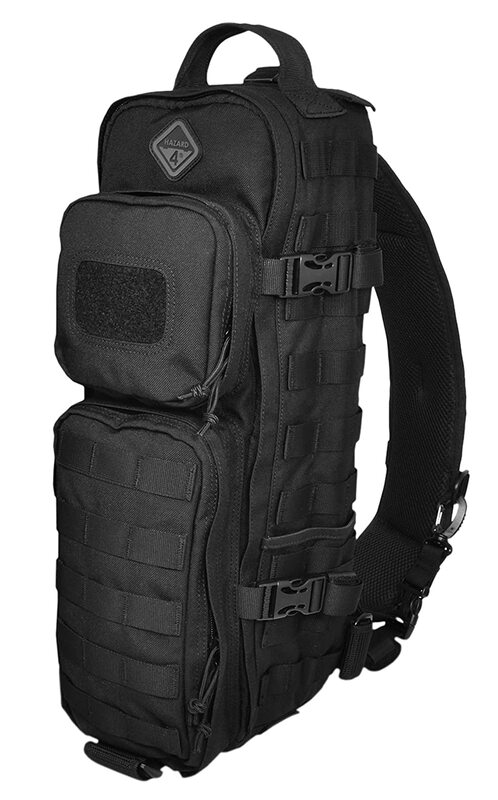 Another great feature of tactical backpacks is the amount of separate compartments that they have to hold all the different tactical gear that are used by the soldiers and policemen/policewomen. Most of these assault backpacks also have side pockets which make it easier to access some gear without having to remove the backpack. This table details specific individual features you should pay attention to when choosing the best tactical bag. Many of these features are not necessary but are great additions that you can have on your tactical backpack based on what you would want. You see when backpacks are constructed differently hence the amount of tactical gear that they can hold will vary greatly. This means that instead of looking at the dimensions of the backpack you have to look at how much volume it can store according to the manufacturer. Tactical Backpack manufacturers generally list the volume that their bags can hold in inches or litres .To be clear this measurement includes all the space in the bag including the space taken up by pockets or compartments but for backpacks with externally attachable pooches you have check if the volume includes those are not. A tactical backpack will be considered as large when it holds 45 litres or more and packs which hold less would considered small. To give you a better idea of how much gear it can hold you should keep in mind that when they determine how much volume of the bag has they fill it up with small plastic balls and then count the volume of it together. In the real world our gear don’t fit in so nicely together hence the military backpack will hold much less that its stated capacity. 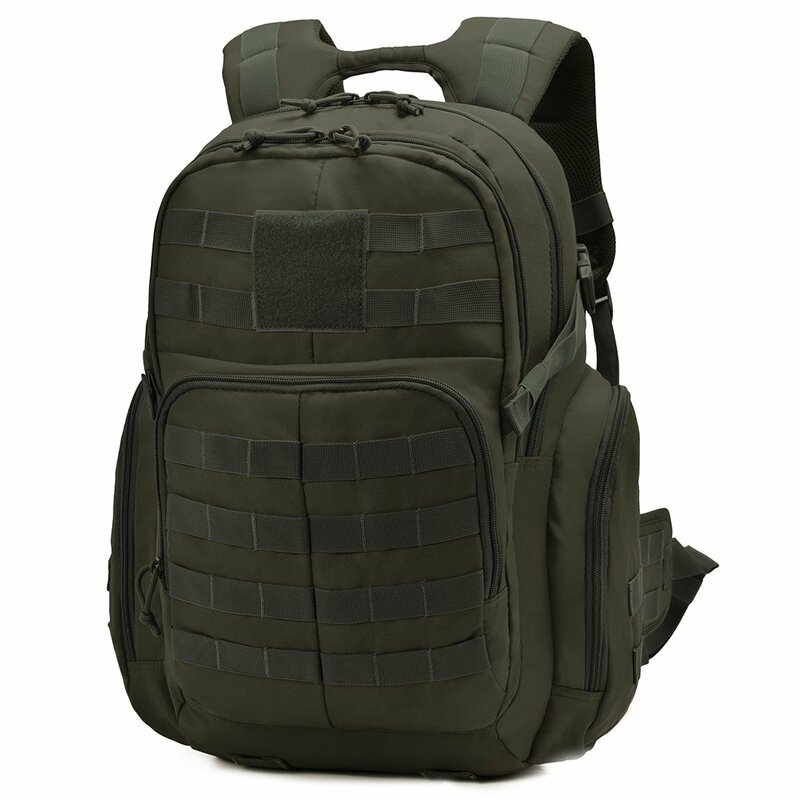 Tactical backpacks are made from two different types of materials: Nylon or Polyester. Each material has its own benefits and will affect the backpack in its own way. Just as how the material used to make the tactical backpack affects the durability and strength of the backpack so can the method of weaving the material can affect them. Most tactical backs utilize a basic diagonal weave as it is a tried and trusted method which enhances and protects the bag from tears and abrasions. Cordura is an “air treated” nylon fabric created by Dupont.Kodra is a similar fabric produced by Olon Intl in Korea. The texture of this fabric is rough and fuzzy, which creates great abrasion resistance .The weave uses thicker fibers which gives it superior strength and resistance to tearing but it has a downside which is that it makes the tactical backpack heavier because of its thickness. Pound for Pound it is not as durable as nylon rip stop but it is heavier and more durable per square inch. Oxford Weave is a smooth, linear wave found in seatbelts in cars. This weave is not very strong or resistant to tearing it is important that this type of weave should be avoided if backpack strength is important to your needs. When deciding which backpack to buy an important consideration is to measure the fabric weight. Fabrics come in a wide range of weights and it has a great impact on the backpack’s strength, durability and weight. The measure meant used to measure fabric weight is “Denier”. A denier is a unit of fineness of yarn equal to one gram per 9000 meters of yarn. In general, the higher the denier, the greater the strength, durability and weight of the material. 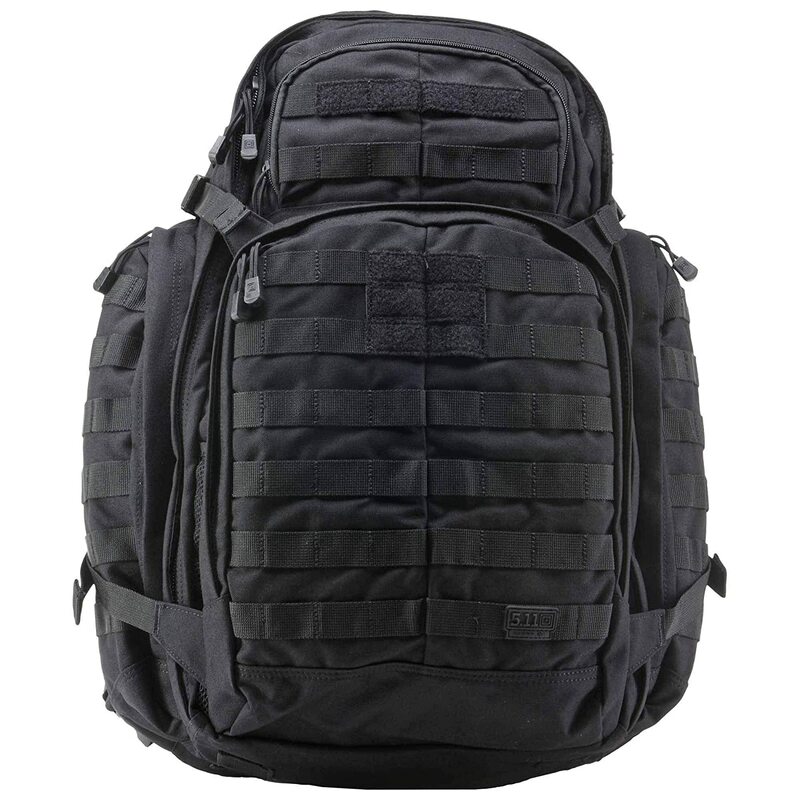 The 5.11 Tactical Rush 72 Backpack is an adaptable and durable backpack that is able to store the essentials needed for a backpacking trip up to 72 hours. The backpack is made out of 1050D Nylon which is extremely strong and able to withstand any difficulties you may face during the excursion. It also has a customizable MOLLE webbing which makes it more useful in carrying more stuff around. It comes with dual-zippered front and main compartments with molded grip pull as well as admin organization pockets which allow you to store maps, pens, and documents. The backpack has neatly padded shoulder straps which make it very comfortable on your shoulders during a long hike. Overall, the tactical rush 72 is “arguably” the best “bug out” backpack and is a great price for the value of the bag. The Hazard 4 Plan B Sling Backpack is the best in the sling backpack category. It is much smaller than the other backpacks mentioned, but it is lighter and ideal for shorter missions. It comes with multimode wear allowing you to wear it in different configurations, has support for MOLLE straps, has an easy to use quick release buckle and a stabilizer strap to allow for more agile movement. The spine is padded for optimal comfort and has multiple pockets with a hydration hangar to connect your hydration packs. It is also made from the soft and tough Cordura fabric, same as some of the other backpacks we have recommended. Even though the Plan B is relatively small, you have the power to control the size division using a divider. It comes with one divider, and others are sold separately. The Plan B backpack is a versatile backpack with its multiple configurations and efficient use of its small size. The Condor 3 Day Assault Backpack is a larger and heavier pack compared to other 3-day packs. To give some comparison it weighs around 6lbs compared to 4 lbs, which is the average weight for other 3 days packs. It does have a lot of compartments and organization so if you are someone who needs a lot of organization it works really well. The shoulder straps have a flexible side making it less likely to chafe and give you enough flexibility when walking. The pack also comes with a side handle make it easier to grab and go. The top of the pack has radio antenna holes on the top space for around 200 ounces of liquid and a large sewn-in handle. I nice feature is the sewn in utility pouches on the side of the pack, which means you don’t have to shell out for extra pouches. The shoulder straps are not adjustable from the top and on some body builds it causes the shoulder straps to run low on the chest, and consequently the sternum straps run low in that case as well. However, it is adjustable in other areas and would require playing around more with the adjustments. Looking from the front, there are rows of MOLLE, and there is a document or map compartment. Beneath that there is another multi-sectioned compartment with straps for your magazine with some pen and pencil holders. Inside of the main compartment, there are straps for additional bladders. The flap opens entirely to the bottom making it easier to load and unload. The flat flap has multiple pockets. A convenient feature on the pack is a side zipper to access the lower portion of the main compartment. In conclusion, if you are someone who doesn’t have a bunch of different MOLLE attachments. This backpack is perfect because it already comes with so much organization and space. The backpack is made out of 600 Denier nylon. Looking from the front, there is a phone pouch with velcro to hold it. If you have a 5.5-inch phone with a case, you will have to remove the case so keep that in mind. It also has a key loop with a velcro handle to prevent the keys from dangling. The front pouches connected to the front of the backpack are lined with MOLLE. The pouch can be separated and carried around as a shoulder pack. The main compartment clamshells. It is not that deep not allowing much to be added. The flat flap has a single mesh to hold accessories. The primary side of the compartment has a small compartment for a laptop sleeve. The shoulder straps are not sewn to the backpack itself but instead, it is sewn with nylon webbing. The straps itself has a couple of d rings for additional attachments. The sternum strap has a slight range of flexibility for adjustment. The backpack does not have a spot for hydration threading. The backpack as a whole is not heavily padded at all, and the same goes with the shoulder strap. This means it is not intended for longer or harsher trips and is more for the person looking for a tactical looking pack without spending as much on a full-blown tactical pack. The Mardingtop tactical backpack has a waterproof lining making water resistant and not waterproof. Looking from the top, the front is covered with MOLLE strapping and a single velcro patch towards the top. The backpack even though labeled as tactical has a very crunchy noise while handling the backpack. If you are running missions in the jungle you do not want that but if you are using it as an everyday carry then you will not have any problem with it. 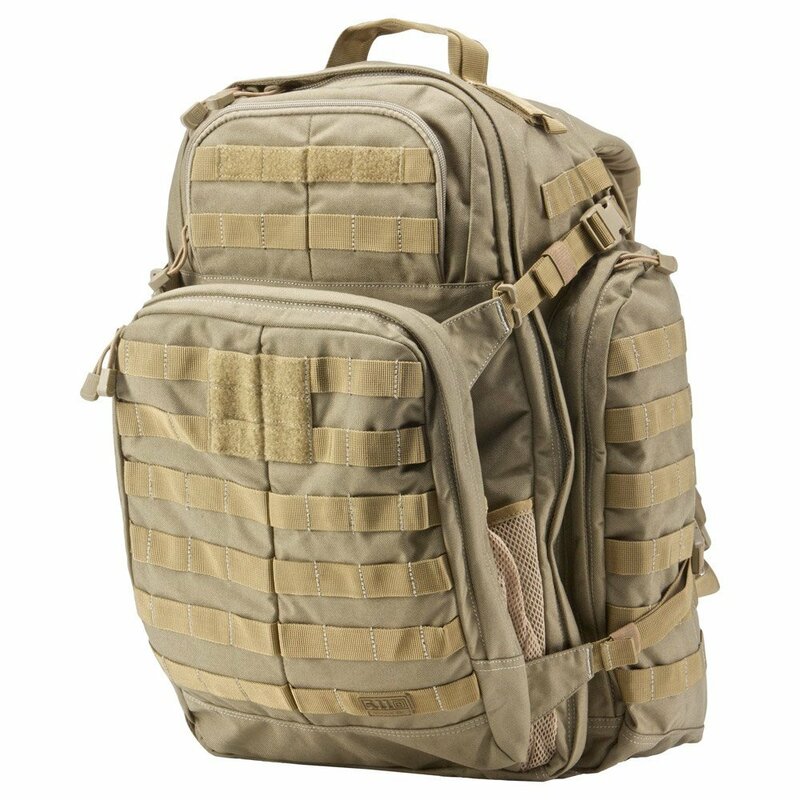 This backpack has a two-deep side pouches with MOLLE straps on the outside of them allowing it to expand. To give an idea of how the deep the pouch is a water bottle can easily fit with room to spare. Looking at the backpack from the back the waist flap and shoulder straps have MOLLE webbing and are well padded. There is an opening for a hydration pack from both sides. 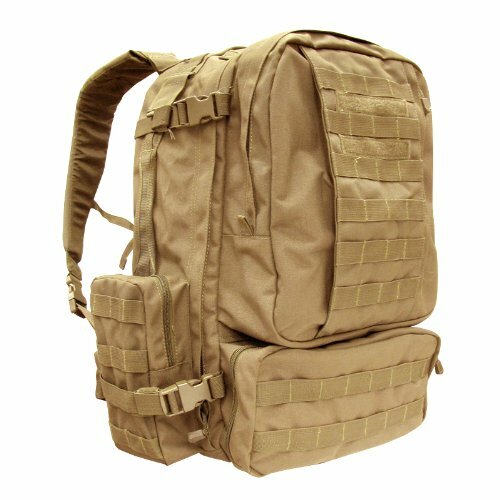 This backpack is on the higher side of tactical backpacks with a higher price point but with that, it is completely American made, comes with the latest backpack technology and the quality is top notch. The backpack is around 2000 inches^3. The backpack weighs around 5lbs 1 ounce. It is classified as a 3-day backpack. Talking about quality of detail, most backpacks have nylon webbing on the side but not enough to be useful because they are added for cosmetic reasons to add to the tactical look of the bag. Mystery Ranch understands the purpose of the webbing and has enough to be useful so that you can hold bigger things on the sides of the backpack. The buckles are also all heavier duty with high-speed buckles. The shoulder straps are comfortable and have a good contour improving how it lays on your backpack. The backpack has nice sturdy spine support. The backpack is completely customizable depending if you want to reduce the weight of the backpack for shorter trips or if you want to share the backpack with your buddy. Looking top down into the compartment there is a lot of cushions to keep its shape. The side towards the backpack has MOLLE straps. It also comes with an additional laptop sleeve if you want to bring any electronic devices with you. The backpack is also compatible with body armor or bbs systems. The quality of the backpack combined with it being completely American makes it well worth to have for a long-term purchase. The features of a tactical backpack make them great for weekend trips, hikes and of course for military and police personnel hope this guide gives you everything you would need to help you to purchase your best tactical backpack. If you would like to see anything more or would like us to add any more tactical backpacks to this list then please leave a comment below.